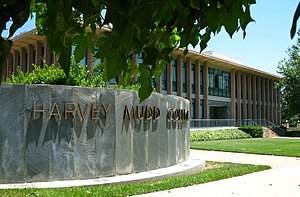 Harvey Mudd College (HMC) is a private residential liberal arts college of science, engineering, and mathematics, founded in 1955 and located in Claremont, California, United States. 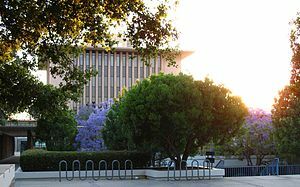 It is one of the institutions of the contiguous Claremont Colleges, which share adjoining campus grounds. 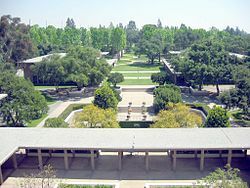 The college's mission is: "Harvey Mudd College seeks to educate engineers, scientists, and mathematicians well versed in all of these areas and in the humanities and the social sciences so that they may assume leadership in their fields with a clear understanding of the impact of their work on society." Harvey Mudd College shares university resources such as libraries, dining halls, health services, and campus security, with the other institutions in the Claremont Colleges, including Pitzer College, Scripps College, Claremont McKenna College, Pomona College, Claremont Graduate University, and Keck Graduate Institute of Applied Life Sciences, but each college is independently managed by its own faculty, board of trustees, and college endowment and has its own separate admissions process. Students at Harvey Mudd are encouraged to take classes (acceptable for academic credit at Harvey Mudd) at the other four Claremont colleges, especially classes outside their major of study. Together the Claremont Colleges provide the resources and opportunities of a large university while enabling the specialization and personal attention afforded by the individual colleges. The Bachelor of Science diploma received at graduation is issued by Harvey Mudd College. The college is named after Harvey Seeley Mudd, one of the initial investors in the Cyprus Mines Corporation. Although involved in the planning of the new institution, Mudd died before it opened. Harvey Mudd College was funded by Mudd's friends and family, and named in his honor. 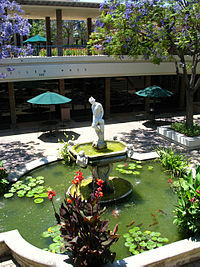 In keeping with the college's mission, HMC offers four-year degrees in chemistry, mathematics, physics, computer science, biology, and engineering, as well as interdisciplinary degrees in mathematical biology, and a joint major in either computer science and mathematics; or biology and chemistry. Students may also elect to complete an Individual Program of Study (IPS) made up of courses of their own choosing. Usually between two and five students graduate with an IPS degree each year. Finally, one may choose an off-campus major offered by any of the other Claremont Colleges, provided one also completes a minor in one of the technical fields that Harvey Mudd offers as a major. What are the academic rankings for Harvey Mudd College? 1. number 49 for Academics. 2. number 19 for ROI (Return on Investment). What universities are similar to Harvey Mudd College?